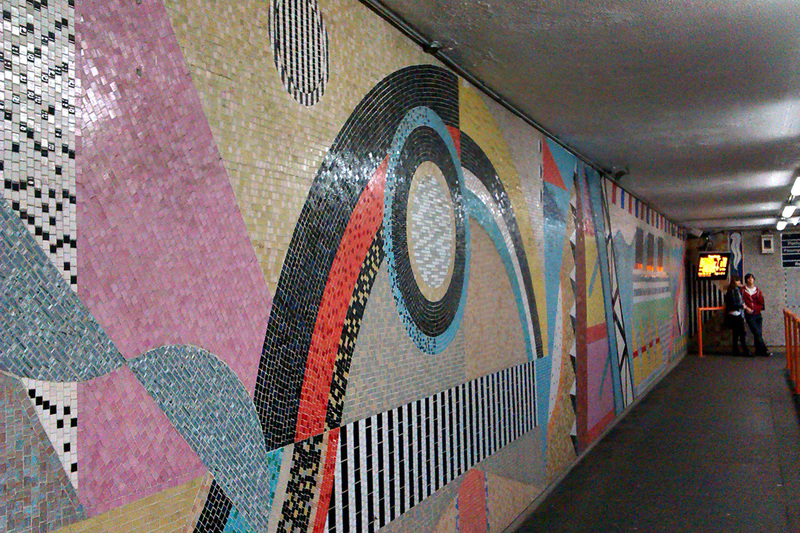 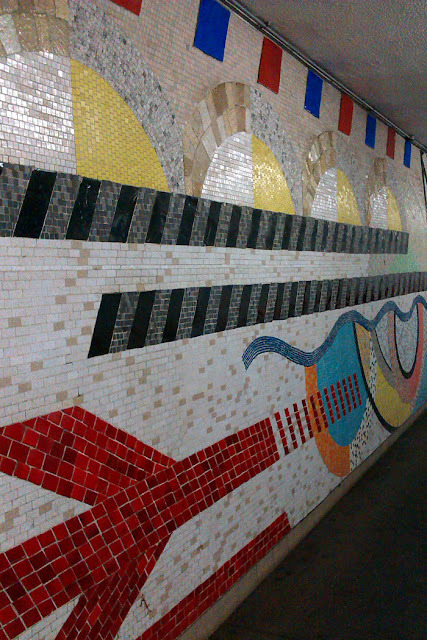 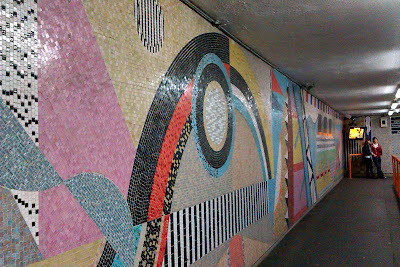 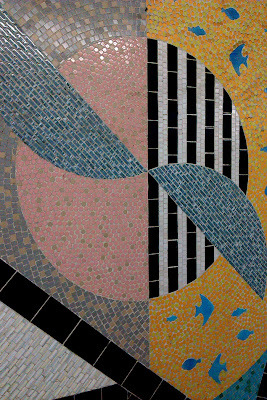 I've spent hours marooned at Southampton Central railway station at the mercy of delayed trains, mismatched timetables and misinformation, but whenever crossing platforms in search of a connection the sight of this colourful tiled mosaic never fails to raise my spirits. 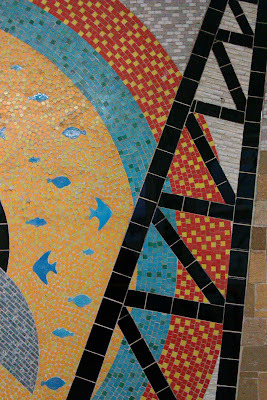 The mosaic mural made by artist Sue Ridge, stretches the entire length of the pedestrian footbridge and depicts Southampton's connections with sail and rail. It's a splendidly bold piece of public art and brightens what would otherwise be a bleak stopover. 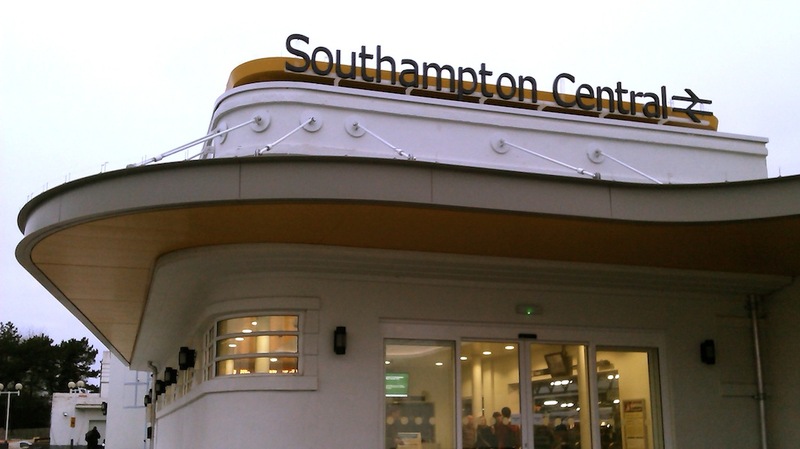 The back entrance of Southampton Central is also worth a look as it's a recently refurbished example of clean and beautiful art deco architecture. From the ticket hall's oblong skylight to the streamlined sleek curves of the outside of the building it's a lovely sight even on a grey day. 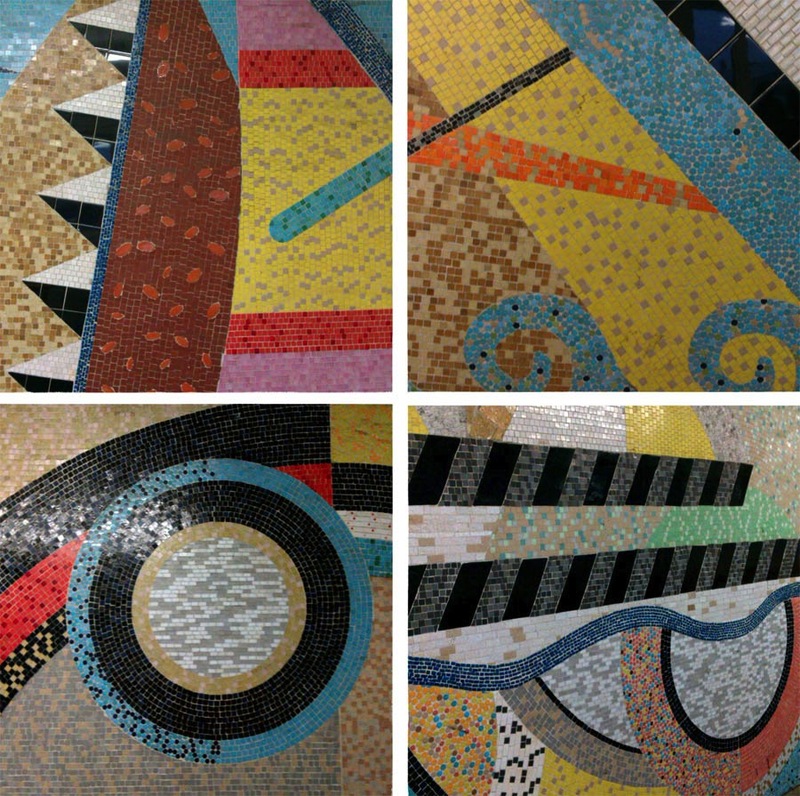 UPDATE: 6th June 2017 South West Trains have plans to remove the lovely mosaic! Please sign this petition to help convince them of its merit.